Posted on August 24, 2015 by John Messenger wrote in Blog. It has 0 Comment. A mobility aid is a significant investment, and you need to make sure that you can use it for a long time. Like any other machine, the mobility scooter will eventually break down, no matter how efficient it is or how renowned the brand is. That is why regular maintenance and inspection will be required. Good maintenance will help to minimize breakdowns. Below are some suggestions for easy maintenance of mobility scooters. If you have bought a used mobility scooter, you would have to pay more attention to its maintenance. 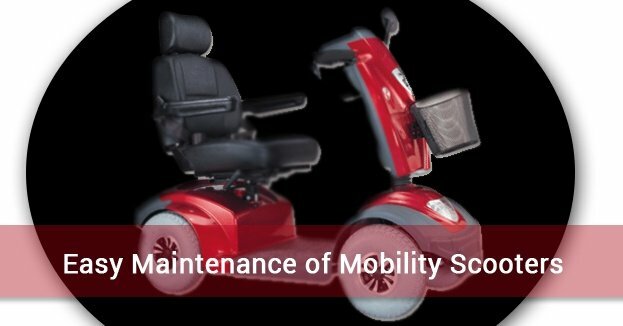 If you have gotten the best brand of mobility scooter Brisbane, you would need to keep up with regular care and occasional repairs. The electric scooters shop are the most efficient in the market these days. You may consider getting them for comfort of riding and years of usage. Renting Mobility Scooters on Holiday Few Facts To Know About The Motorised Scooter For Sale!